It’s not exactly a run-of-the-mill book tour. 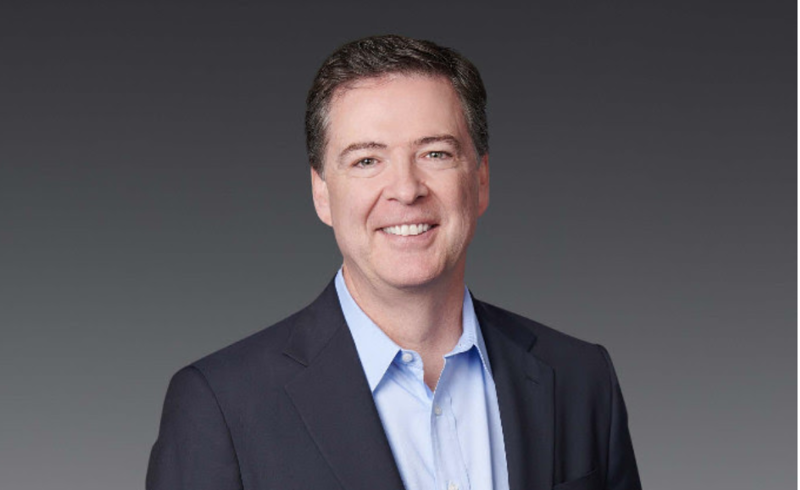 Former FBI director James Comey is headlining a Chicago Humanities Festival event on April 20—three days after the release of his forthcoming book A Higher Loyalty: Truth, Lies, and Leadership. The former G-man will be speaking about his memoir, which examines "what good, ethical leadership looks like and how it drives sound decisions," according to the release from publisher Flatiron Books. That’s all well and good from the man who could not stop talking about Hillary Clinton’s e-mails before the 2016 election and who signed off on waterboarding at Abu Ghraib, warrantless wiretapping, and indefinite detention during his time as the U.S. deputy attorney general in the Bush administration. But what everyone wants to know is—what the hell is Comey going to say about his more recent boss? President Donald Trump fired Comey in May 2017 while the FBI director was heading up the investigation into alleged Russian meddling during the presidential election. Trump later told NBC News he was thinking of “this Russia thing” when he axed Comey. Other than his testimony before Congress, Comey has remained quiet about the specifics of his dealings with Trump and developments in special counsel Robert Mueller’s investigation. Flatiron Books is making sure no revelations detailing Comey’s interactions with Trump leak before the book’s release by instituting FBI-level measures of secrecy. According to Politico, the publisher reportedly locked the book behind a password-protected electronic system, stored it under a code name, and asked warehouse workers to sign nondisclosure agreements. The strategy is working well for Comey and the publisher: the memoir is Amazon’s number one best seller in three categories: politics and social sciences, law, and biography. "James Comey is without a doubt one of the most interesting and key figures in the transformation of our political landscape over the past year," said Chicago Humanities Festival artistic director Alison Cuddy in a press release. "I’m eager to hear what he has to say." Comey’s Chicago appearance will be the third stop on his tour following back-to-back New York City dates on April 18 and 19. Tickets for the event, scheduled for 7 PM on April 20 at the Harris Theater, go on sale to CHF members March 22 and to the general public on March 28. Tickets will be available at the CHF website. A family is divided when the American president demands every citizen pledge their loyalty to him.